In this movie, Barbie and her best friends: Teresa and Renee are a beautifuls gymnasts who put enthusiasm in each of your workouts, but their work do not always turn out well. However in this story, the gymnastics is combined with an exciting action-packed adventure! When they least expect, Barbie, Teresa and Renee, are into a dangerous spy ring and they require the skills of gymnastics of the girls. 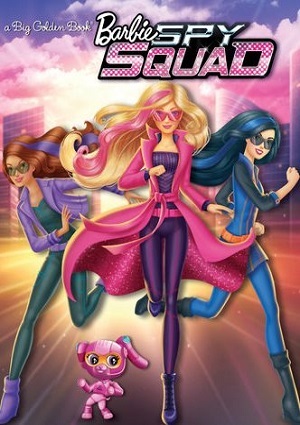 At that time, Barbie, Teresa and Renee become undercover secret agents of this top-secret spy agency and they must prove they are the best gymnasts. In the mission that is entrusted to them, the girls need to follow the clues and also find a thief who has stolen a valuable gem and has taken flight. That’s a story that has gone around the world and they should help solve the mystery. With its high-tech gadgets, costumes with very glam, and cute robot as pets, they can prove that the intelligence and teamwork can get a mission accomplished. You never lived an exciting story of gymnastics and secret spy with Barbie and her friends; this is the feminine power to the rescue and you are part of it!